I have missed a few Wednesday Hodgepodge postings of late, but am glad to be back. I miss it when I'm unable to participate. We have been to deserts in Colorado and New Mexico including two of the "coolest" towns listed above, Taos and Grand Junction. We also, drove through some of the deserts between Las Vegas and the Grand Canyon. I enjoyed the sparse beauty from a distance would never want to live in or near a desert. I don't think I would want to visit any of the other ones listed. My plan to paint more. I had hoped to keep something going most of the time, but it hasn't happened. Thorough is the main one that stops me. I guess I will have to go with "dry as dust" because we haven't had rain here in almost a month. Here it is almost October and we are still having to use our sprinkler system. Rarely! I do have a few seasonal items that require professional cleaning but I don't wear them very often. Since Hubby hardly ever wears a suit these days, and I iron all his shirts and pants, we just don't need to go. Arnold Palmer. He will be missed. ABSOLUTELY! And a lot of it. If you are an art buff, you will especially enjoy Part 3. My daughter told me the other day that with her permission her soon-to-be ten year old googled her own name. To our shock and amazement, my blog and every picture I have posted of her on it came up. I have not ever used her whole name. This has been rather disconcerting to all of us and may serve as a matter of information to those of you who post pictures of your children and grands. I am going to think twice before posting pictures of them in the future. We had rented a cabin in the "Arts & Crafts" region of Gatlinburg, thinking it would be an interesting place to anchor and because we don't enjoy the tourist-ie sections. And we were not disappointed. It is sad that many of those 100 craftsmen are no longer there and the shops are empty. 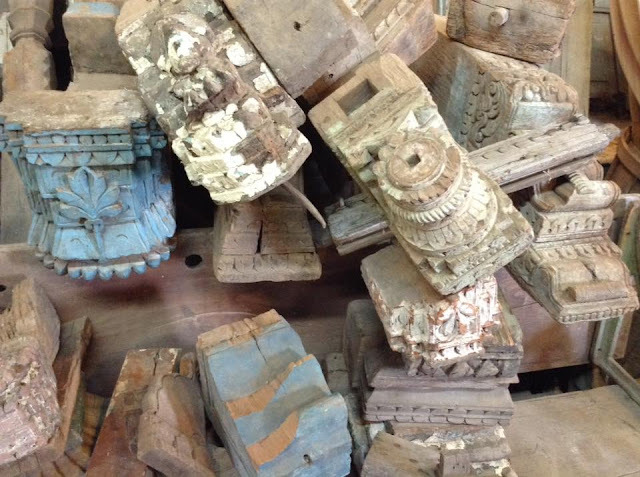 Many of the crafts characteristic of this area are now a lost art as they have not been passed down. But, we did find many galleries and shops that were delightful. The artist I am sharing with you today is not a local although you would not know it to see his art or to talk to him. He is Canadian and spends six months of the year here. 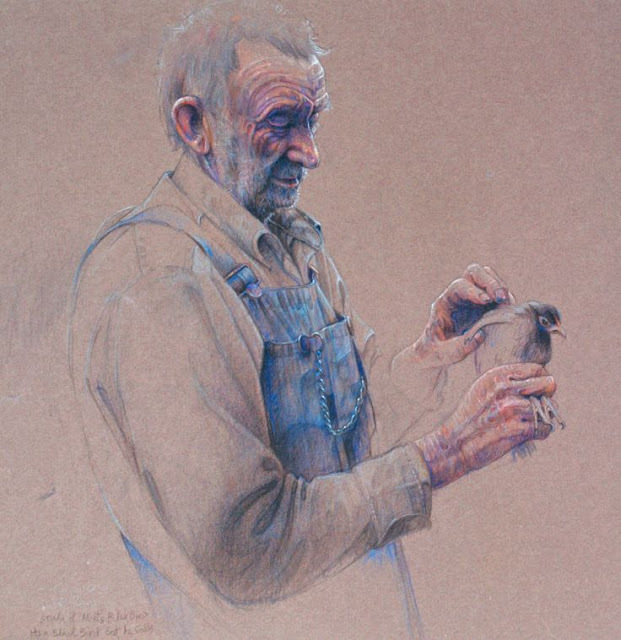 Paul has become completely enmeshed in the Appalachian/rural folk culture and his art is an extension of that love. On our first drive around the area on Sunday, we saw this old barn and I knew this was a place where I had to return. I later learned that there have been several wrecks in this curve because of trying to take a picture. I can understand why and I wasn't driving. Before we went back the next day, I did a little research on Paul. What a fascinating story! At the age of 10, Paul didn’t find it hard to skip school and walk 12 miles to visit his old hermit friends Joey and his siblings. Even at this young age, Paul was already displaying his work at local art shows, where his paintings and commissions sold. At age 13, he quit school and dedicated himself to preserving these rare people. When Paul wasn’t on his friend’s homestead learning to make tools by hand and live off the land; he was in the library learning the techniques of the masters. 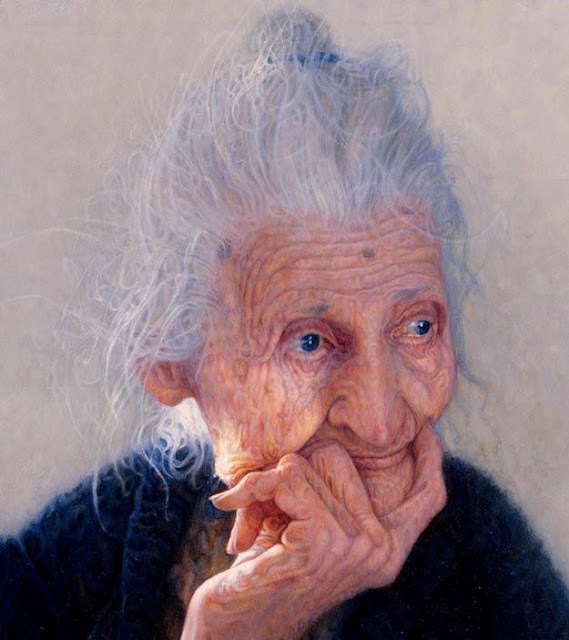 Some of those he studied were Rembrandt, Wyeth and Rockwell. His works still reflect the techniques of these masters. "Most artists work in one medium only, but Paul has various mediums; pencil, pastel, egg tempera, oil and watercolor. He read all that he could on the elusive and eclectic mountain people of Appalachia. He had been visiting theses areas, since an early age and the mountains and its people intrigued him deeply. Here he recognized the unique purity of such deep isolation, the hard struggle to survive, the pride and hundreds of years of knowledge kept alive in this hard place." Paul Murray began publishing his paintings and did solo exhibitions at age 16. 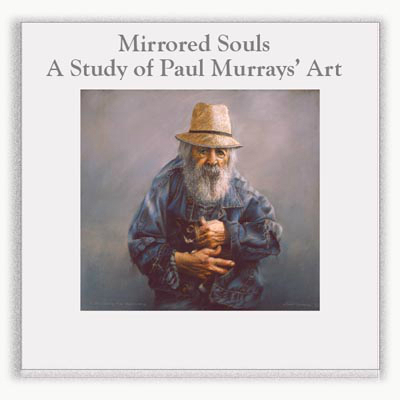 His accomplishments to date are the publishing of his book in 1989, “Mirrored Souls – A study of Paul Murray’s art”. 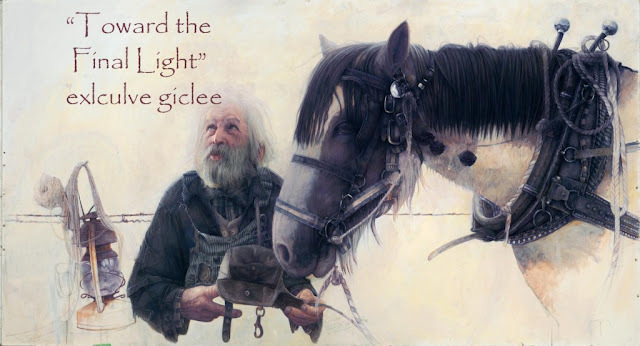 It is a compilation of original paintings and stories of Paul's intimate friendships with old-timers in the Appalachia and other primitive farmers. Hubby so enjoyed scanning the book and thought about buying it until we learned that it sales for around $500. 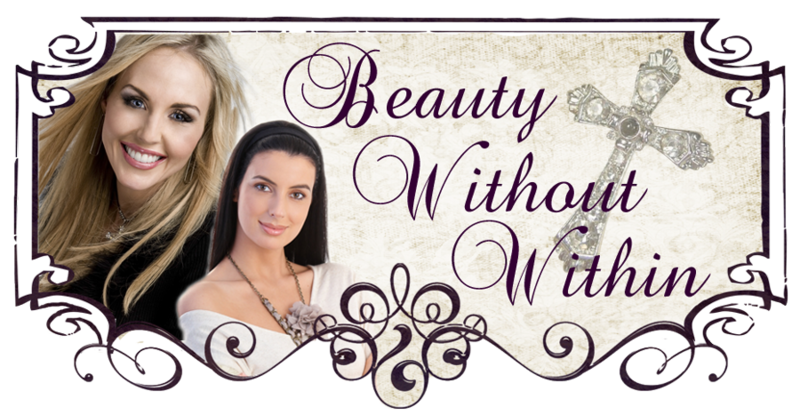 We are hoping that our name will be drawn next year for a free copy. When we told Paul and his wife Kati-Jane that we are from Louisiana, they gave us several of his signed children's pieces to be donated for fund raisers for the Baton Rouge flood victims. I'm still in awe of their generosity and in the process of trying to get information on fund raisers. 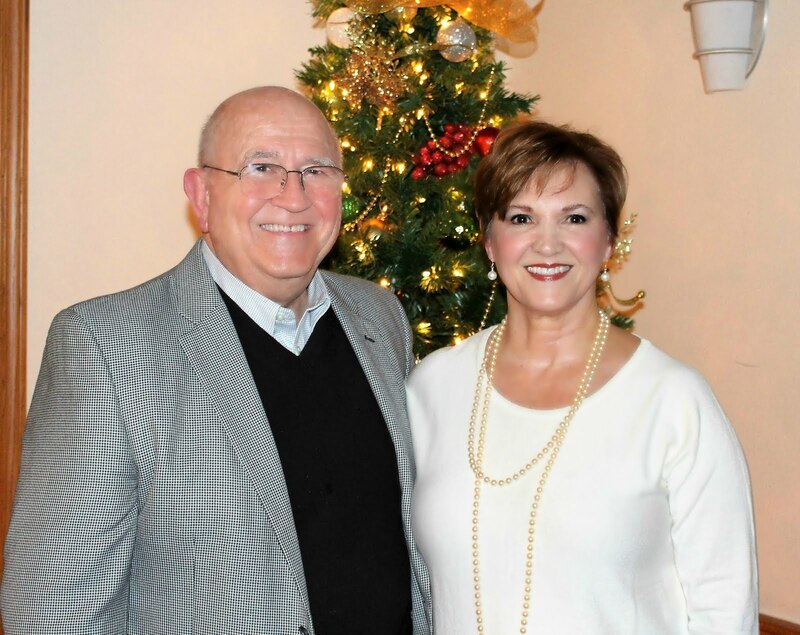 Both of them continually give back to the community. His donations to many charities have helped raise more than a million dollars. Now, let me share pictures of our visit that help tell the story of Paul Murray's art. This 1880's farm house is the Murray's home while in the States. It is also here where his works are displayed. Paul, himself built this little log building. I was thrilled when one of their cats, Paul's favorite, let me love on her. Now that is a fat cat! When one enters this old house, it is like going back in time. Not only is it rustic, but the walls are lined with the faces of Paul's old friends. There are framed originals of Daniel who was the family’s horse trader and trainer and passed away when Paul was still in his early teens. There is Joseph, one of Paul's favorite old souls and seen above with his mule; there is Joey (above) and Bachelor John. There are also Red and Wilma, the storytellers. And of course, there is Aunt Emily, everyone's favorite grandmother with lined face and veined hands, with crystal blue eyes that could see deep into one's soul. Here, Paul is signing each of the pencil sketches to be auctioned off for Louisiana flood victims. His series of sketches of the Kentucky miner's little daughter are amazing and some of my favorites. In fact, I bought two of them. When I expressed an interest in the old barn behind their house that had initially drawn me to the place, Kati-Jane offered to take us back to get a closer look. Hubby took the below picture of the barn and "Lil Miss" and we both think it is one of the best of the whole trip. We liked it so well that I had it mounted it on a large canvas and surprised him with it when we got home. Because I couldn't decide exactly where I wanted to hang these, I put them in the living room where we can enjoy them all the time. Hubby and I treasure the time we spent with Paul and Kati-Jane at the Paul Murray Studio. Thank you for making our trip so memorable. These are just a few pics that continue telling the story of this amazing place I wouldn't have missed for anything. And this one I particular love. What better to find on a heap of trash behind an artist's home but a well used paint brush. 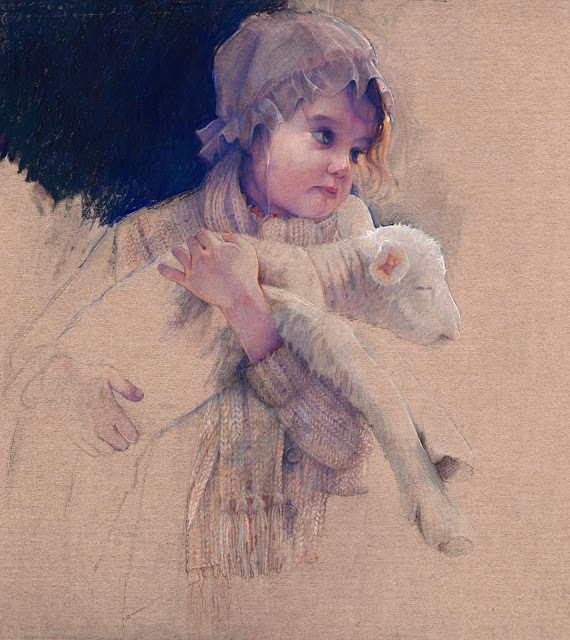 If you are interested in knowing more about Paul Murray and his art go HERE. And, you might especially enjoy this short video. 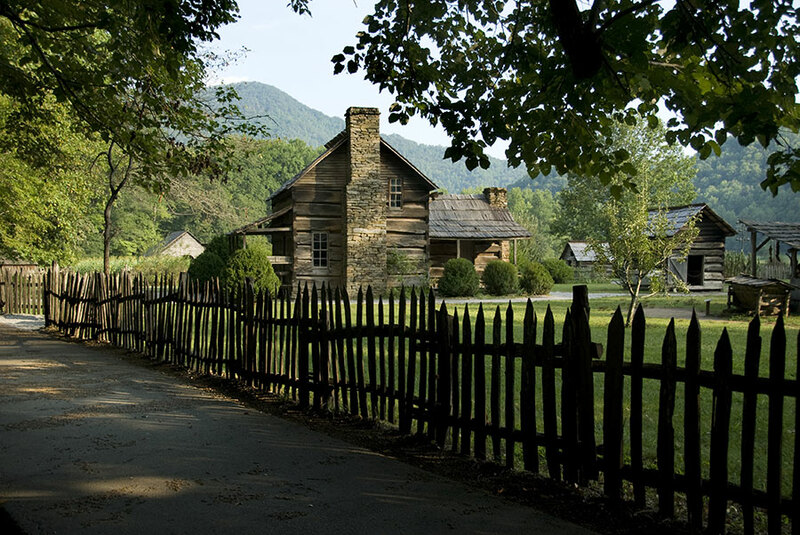 Just outside Cherokee, N. C., along the Oconaluftee River, the Park Service has recreated a late 19th century mountain farm with authentic log structures. Before the first Europeans set foot in this part of the country, the Smoky Mountains were part of the vast Cherokee homeland. The Cherokees lived in permanent towns, farmed the fertile river valleys, and used a far-ranging network of trails for trade, travel, and warfare. As this was well-known Cherokee land, and the rough mountainous terrain, there were few outsiders prior to 1800. Of course, the American Revolution brought many changes and the US government began taking over much of the Cherokee land for non-Indian settlers. By the late 1830's, as part of National policy, most Cherokees were moved to the Oklahoma Territory. Thus, the "Trail of Tears." Many of the newcomers were of German descent and at least second or third generation Americans. There were also many Africans brought primarily as slaves. This is a very interesting part of our nations history and the development of this particular area from the mid 1800's through the early 1900's is one of great progress. In the late 1920's the states of North Carolina and Tennessee began buying the land that they would deed to the nation to become the Great Smoky Mountains National Park. This meant that not only timber companies had to close but more than 1,200 families also had to sell their land and homes and relocate. The Mountain Farm Museum is part of an effort to preserve some of the cultural heritage of the Smokies. These buildings, most dating from about 1900, were moved from their original locations throughout the Smokies to this site. They give us just a glimpse into the past. One of the buildings, the John E. Davis farmhouse. John Davis began building this house around 1899 and spent almost two years finishing it for his family. He hewed and split every log. Now, this would have been a mighty large tree. Another interesting side trip was to Clingman's Dome. At 6,643 feet, Clingmans Dome is the highest point in the Great Smoky Mountains National Park. It is the highest point in Tennessee, and the second highest point east of the Mississippi. I loved watching and photographing this soaring hawk. 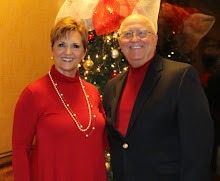 Our next stop was Gatlinburg and I can't wait to share some highlights from there next time. Blogging has taken a back seat to other activities and situations this summer, I'm afraid. I don't know about you, but when this happens, I begin to question my focus and whether the direction (or lack thereof) I had been taking with my blog is worth continuing. Or, do I need to rethink what I'm doing and come up with something new. While I'm still pondering those thoughts, I want to share with you some of our recent early fall trip to Indiana via a few days in the Smokies. Sept. 1. Hubby mentioned that he would like to leave a little early and drive through the Smoky Mountains. That was all this person needed to start planning. We had never done this, but on the suggestion of our son, we rented a vacation cabin in Gatlinburg for a few days. We went through VRBO to find what we wanted and were not disappointed. They provide an iPhone app with all the information you need for accessing, etc. the property right at your fingertips. This was a great experience and one we will do again. One of the things we like about taking a driving trip is being able to take those little side roads when we think something looks interesting. So, when we saw the signs for Tallulah Falls we thought, "Oh boy, our first view of a beautiful water fall!" Not exactly. However, what we did find at the end of the road was this gorge. Then we saw this view. Evidently at the bottom of this gorge is the Tallulah Falls hydroelectric plant. This poster explained that as part of Georgia Power Company's development, in order to get all needed equipment and personnel down into the steep gorge, a railway was built. 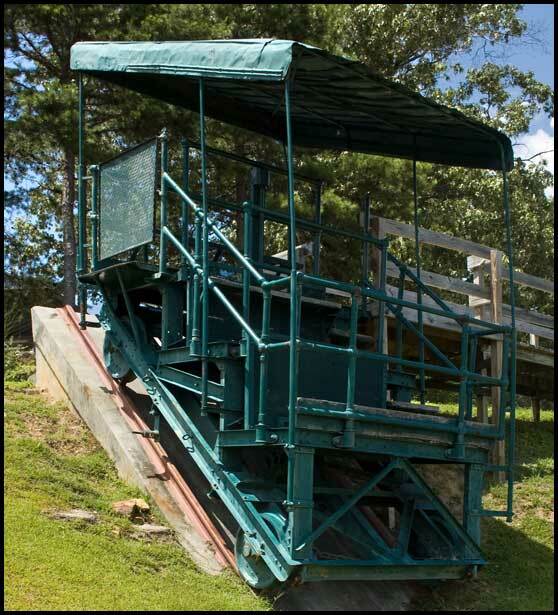 It took three years, 1911-1914 to build the 1,200-foot incline railway which connects the Tallulah Falls power station at the bottom of the gorge with the rim above. This car, built in 1915, carries 20 standing passengers and I cannot imagine what that downward trip must have been like. YIKES! We didn't see any waterfalls on this little side trip but we did see history and it was worth exploring that little road. I wonder if I would ever tire of seeing mountains. Especially ones covered in clouds. Just across the North Carolina line, we had another of those, "Oh, that looked interesting. Can we turn around?" moments. From the road it looked like the most fascinating junk yard I'd ever seen. Not that I am normally attracted to junk yards. We learned that what appears to be a place that has been in that spot for at least 100 years was actually built five years ago with the goal of looking old. The inside was a wee bit more organized than outside, but was equally as piled. a bench. The holes you see in the back are actually the ink wells for the desk top. The cast iron piece here was a bridge support and cannot be lifted by the normal person. Corbels and any architectural item you can think of is here somewhere. 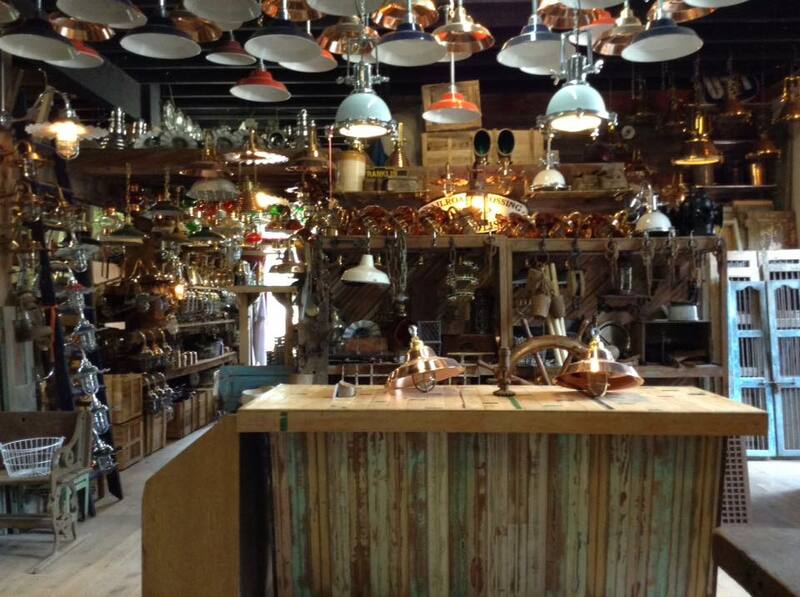 They stock nautical lights and windows from old ships. Downstairs is everything wood and this workshop. He was making a set of sliding barn doors that would literally fit in a barn. All from the huge stash of old wood. So when in the area, you must plan a visit to this fascinating if not overwhelming "junk yard." 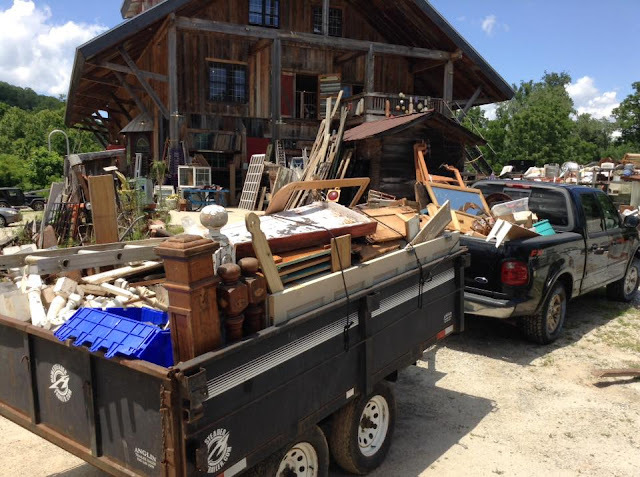 For more information their website is Otto Depot Wholesale Salvage Company. But, you must be prepared to take home all the great finds. Next time, I will take you further into the Smokey Mountains and share more highlights of our great trip.